Check out some of the most buzz-worthy spots from the biggest game in advertising. Kim Kardashian showed she could take – and make – a joke in her Super Bowl ad turn for T-Mobile. Super Bowl XLIX advertisers spent about $150,000 a second in hopes winning a competition in which talk is anything but cheap. The commercial onslaught cost viewers something even more valuable: their time. So were the money and time well spent? The Monday morning quarterbacking began with Sunday’s last play in Arizona. Check out our picks for the most buzz-worthy spots from this year’s edition of the biggest game in advertising. Posting ads online before the game risks buzz-kill. But in some cases – most notably the classic Darth Vader kid Volkswagen spot from 2011 – the pre-game show can stoke excitement for commercials that work even better in a crowd. Snickers’ gut-busting take on “The Brady Bunch,” starring Danny Trejo and Steve Buscemi, proved the ad most worth watching again on a bigger screen with an extended family of loved ones. Yes, Budweisers’ horse-and-puppy tearjerker is more sap than suds. But only the heartless could resist this master heartstring-yanker. Meanwhile, Avocados from Mexico came out of nowhere to employ an ark’s worth of critters – and Noah – for laughs in the clever “First Draft” commercial. Katie Couric and Bryant Gumbel reunited to plug BMW’s new electric car. Bryan Cranston’s “Breaking Bad” meth-master Walter White came back from the television graveyard to help hawk Esurance. Mindy Kaling’s rollicking “Invisible Woman” bit for Nationwide ended with an appearance by her celebrity crush. Chelsea Handler and Sarah Silverman engaged in comic one upmanship for T-Mobile. Kate Upton turned up in an elaborate ad for the latest “Game of War” video game. Liam Neeson, in full faux “Taken” mode, also pitched a video game: “Clash of Clans.” Bud Light made every (old-school) gamer’s fantasy come to life with its human Pac-Man spectacular. 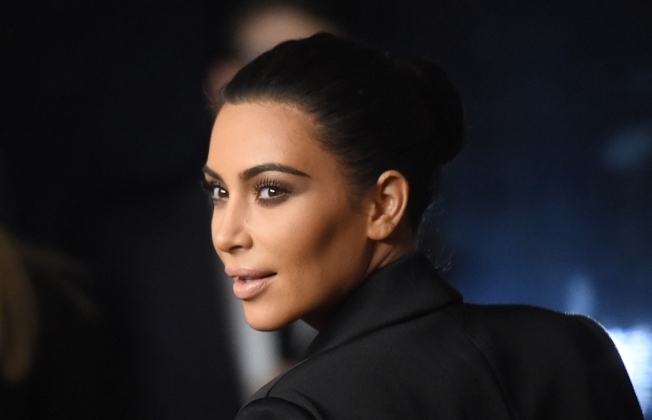 Kim Kardashian’s used the selfie to engage in some self-mockery for T-Mobile. Lindsay Lohan, playing off her trainwreck reputation, crashed an Esurance commercial. Mophie showed how the world’s fate is tied to God’s cell phone. Fiat added a bit of European-style ad whimsy to the mix with a spot about a runaway Viagra-like pill. Coke hit the sweet spot with an ad not about teaching the world to sing, but rather teaching it to get along online. Microsoft celebrated the work of Estella Mims Pyfrom, who brings technology to underserved kids via her “Brilliant Bus.” Always’ “Like a Girl” spot highlighted sexism ingrained in the language. Paralympic athlete Amy Ward, in an ad for Camry, looked ready to come off the sidelines to score a touchdown or two. Jere Hester is founding director of the award-winning, multimedia NYCity News Service at the City University of New York Graduate School of Journalism. He is also the author of "Raising a Beatle Baby: How John, Paul, George and Ringo Helped us Come Together as a Family." Follow him on Twitter.